Most videos you see on Instagram are professionally edited content. 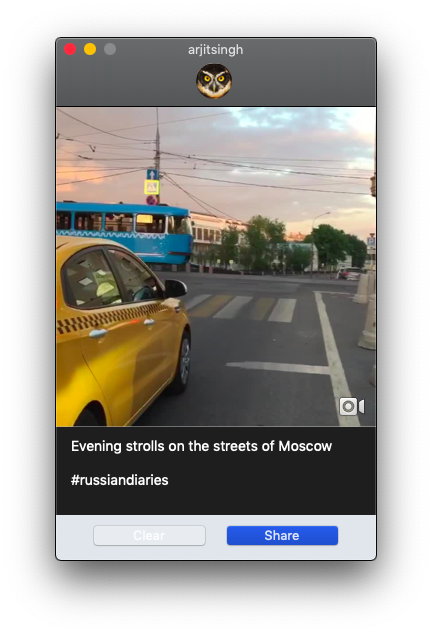 Meaning more and more people are editing their Instagram videos on a computer using video editing software like Final Cut Pro and then push them to their smartphone to upload it on Instagram. But wouldn’t it be awesome if you can just upload videos to Instagram from a computer directly. 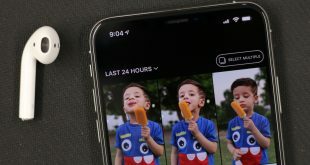 So, the next time you are sitting at your computer and want to upload a video to Instagram that’s saved on your hard drive, you don’t have to use Airdrop or email that video to your mobile first. So, whether you are social media managers or average users, here are some tools to upload video to Instagram from a computer directly. Last year around May 2017, Instagram mobile sites allowed uploading pictures. Which means you can use this workaround on PC as well. Just change your desktop browser to mobile view by going to developer option. And you can upload pictures to Instagram from a computer without any need of third-party software. But unfortunately, this workaround doesn’t work for videos. Which is funny because most video uploaded on Instagram are shot using drones and recorded with a camcorder. Although there are some tools that will allow you to upload videos to Instagram from a computer, they are paid tools with a subscription fee except one. I will share a few quick and free, and some paid, ways to do the same. The oldest trick in the book. You create an account on Dropbox or you can use Google Drive on your computer linked to your Gmail account. Download and install it if you haven’t done so already and create an account. Copy and paste the video into the Dropbox/Drive folder and let it sync. 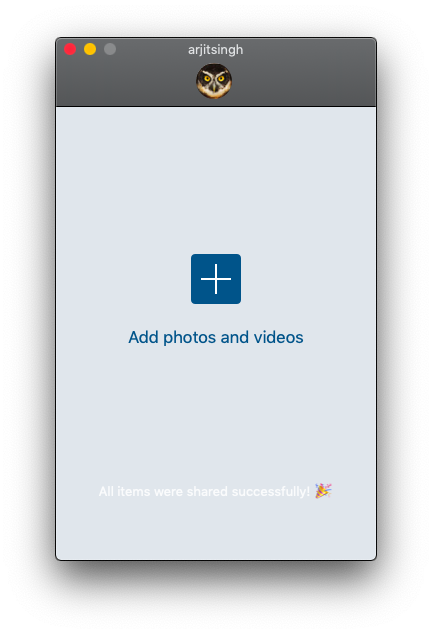 Next, open the corresponding Dropbox app on your smartphone and select the video you just uploaded. There will be an option called “Share“. When you click the share button, you will see other options like Instagram, Facebook, Twitter, and more depending on which apps you have installed on your smartphone. Select Instagram and the video will be uploaded. You know what the problem with the cloud storage method is? You will have to deal with the video twice. First from computer to cloud and then from cloud to Instagram. This is still somewhat acceptable if the file size is small. What if it is not? Read on. This is a desktop app that you can install on your Windows as well as Mac computer. Let’s go through the steps and see how it works. Visit the homepage and download the software. For the purpose of this guide, I will be using the Windows version. Install and launch the desktop app. You will be asked to create an account. Do it. You will have to enter your Instagram Id and password too. There is no verification so you will immediately see the interface with a drag and drop function. 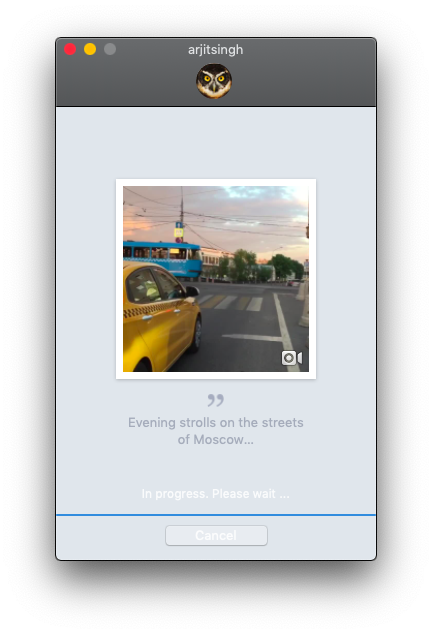 When you have uploaded the video at Gramblr, you should see a thumbnail with options to trim the video. You will notice there is a horizontal line that you can drag back and forth to trim the video. After you have trimmed the video, click the red thumbs up button on the upper right hand and you will be taken to the final step. 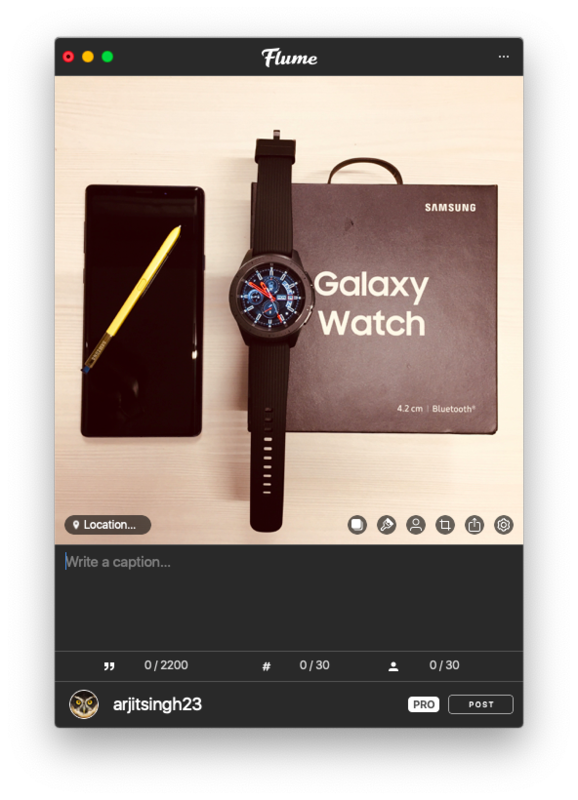 Here, you can write a caption and either post the video on Instagram or you can schedule it to go live at a later date and time. 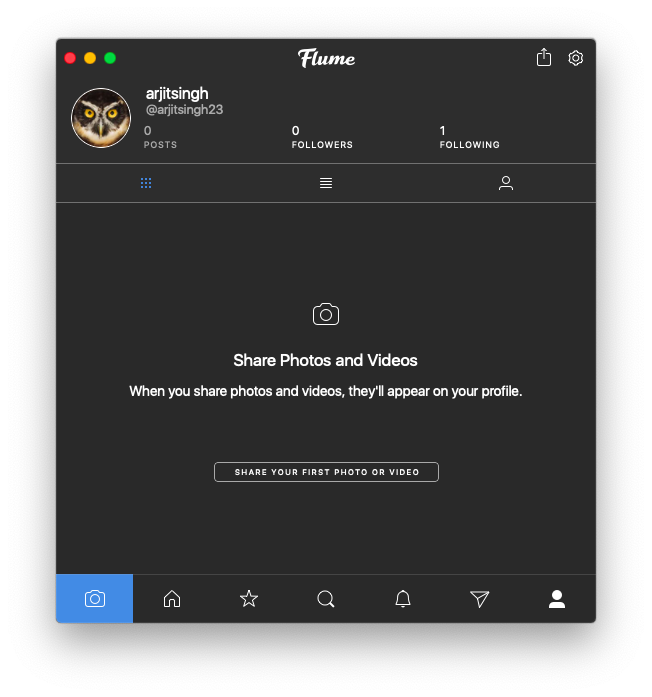 You can see your history and gain followers, however, the later feature is only available in the paid version. Note: In order for the schedule function to work, you must be running Gramblr, otherwise the schedule will fail. After you are done, hit the big green “Send!” button and the video will be live on your Instagram account. Though Gramblr is a free tool and does what it says on the tin, I found it to be a little buggy. It may or may not work in the first attempt, but it will eventually. For me, I had to try 3 times, but other users have reported it to be working just fine. I guess you will have to try it for yourself. Flume is one of the best options out there for Mac users. 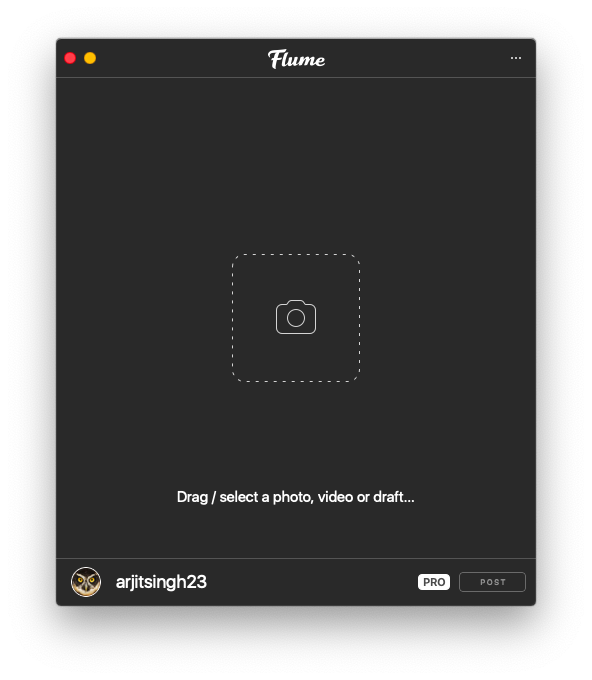 It is as close as you could get to having an Instagram app on your Mac. It’s not only a video uploader but operates exactly like the Instagram app on your mobile devices. Flume app installer will have to be downloaded from the website directly. Unlike other third-party apps, Flume might not be visible on your launchpad. You can simply copy the installed app icon to the app folder or operate from a desktop icon itself. Once you open the app you’ll see a phone like an app interface which is operable as such. To upload a video simply click on the camera icon on the bottom left corner. 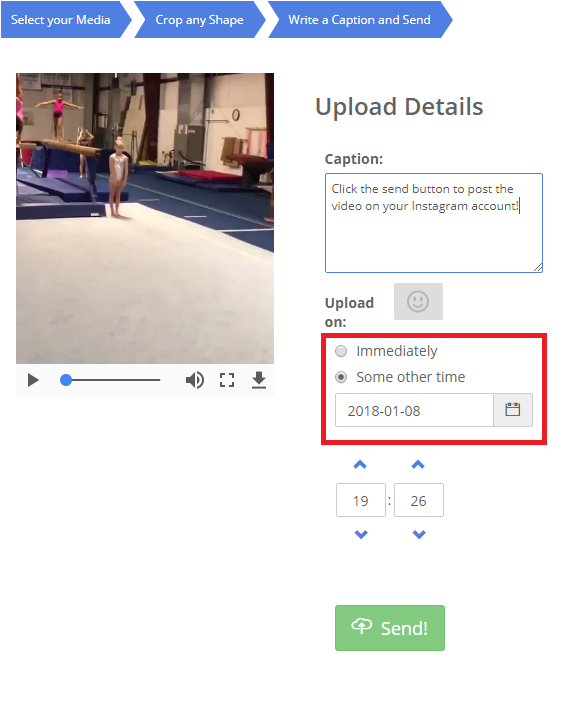 A separate upload window will pop-up where you can upload the photo or video. To select a video from system drive click on the camera icon in the center or the three dots on the top right corner to select other options. Alternatively, you can simply drag and drop a video file onto the window. Once the file has been inserted, you’ll see a number of options similar to what the app offers on phone. 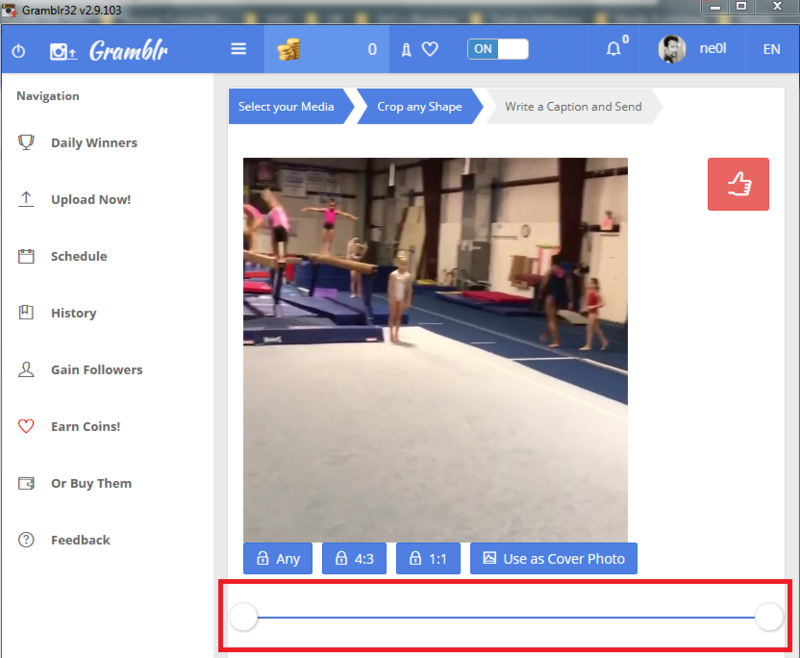 You can edit, upload multiple parts of a video, apply a filter, and even select thumbnail for your video. You can also write a description, add hashtags and tag people in the usual manner. Having done the complete process, all that remains is posting the video to your feed. But if you already haven’t noticed, the upload feature of the app comes only in the pro version. So if you want to enjoy the benefits of the macOS app completely you’ll have to spend a little. It’s not much expensive given the features it offers. As minimal as it could get, Uplet does exactly what is desired of it and nothing more. The app can be installed from the website directly as any other third-party app. You can access the app from your launchpad. Once installed, you’ll notice that the app has an extremely minimal interface. It’s so minimal that you can’t even resize the app window. It remains a tiny little window with just a few options. To get started simply click on the add symbol on the screen to select one or multiple files. It doesn’t say so but you may also drag and drop files onto the window. Once the video file is added to the window you’ll uploading options. Unfortunately, you can’t do much before an upload except for writing the description and hashtags. Same goes for photos as well. But since you are uploading the video from your laptop I guess all the editing is already done, isn’t it? Once you are done just hit the share button and your file will start to upload. The upload process is instant and works exactly like an app. Now the free version has a limit of five uploads only, post that you’ll need to buy a license according to your need. 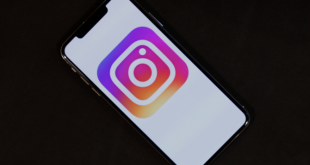 Uploading videos to Instagram from your desktop or computer should have been taken care of by Instagram but maybe, they are pushing users to the mobile app on purpose. 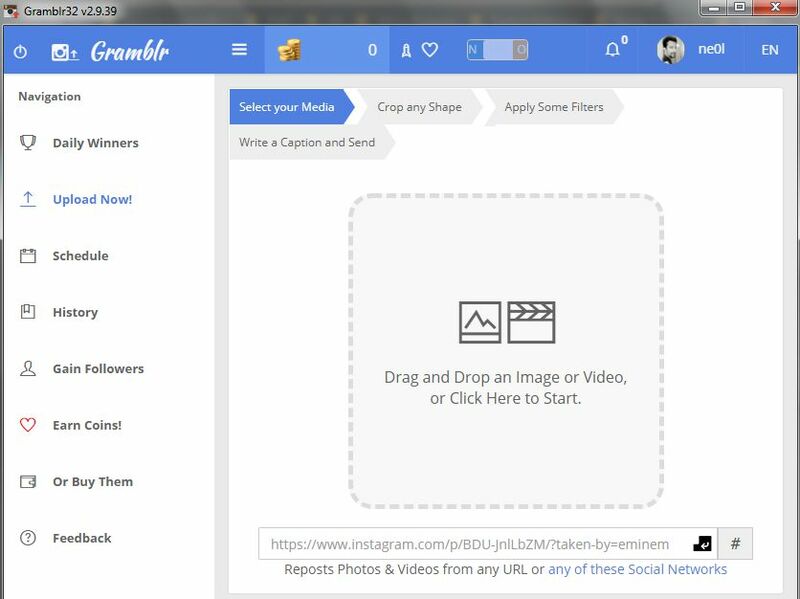 I liked Gramblr because it is a free desktop client that is quick and easy but a little buggy. And for macOS my favorite is Flume. Although its paid, you get a proper Instagram look-alike app on your laptop with similar interface and settings. 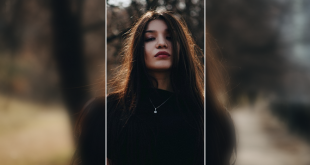 Another way to go about it is by using an Android emulator like GennyMotion, however, in my experience, they are just too much work with less reliability. As of now, Gramblr is the only feasible option.